The NASCAR Cup Series will enjoy its final Sunday off until November this weekend, but don’t worry — there’s still plenty of racing to be watched. Two of this year’s Indy 500 racers will be running in the series’ event at Road America this weekend. 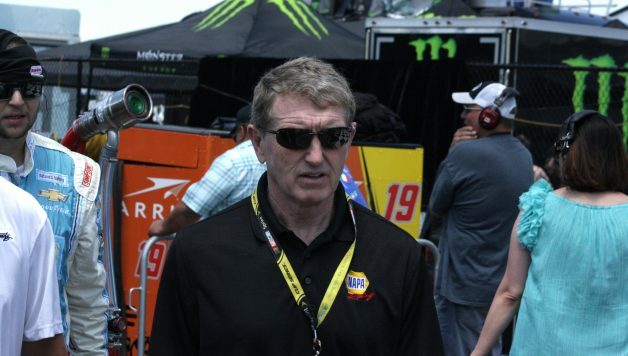 Also, NASCAR Hall of Famer Bill Elliott will come out of retirement to drive the No. 23 GMS Racing Chevrolet. Conor Daly, who piloted the No. 17 Dale Coyne Racing Honda at Indianapolis earlier this season will make his NASCAR debut with Roush Fenway Racing. Daly, 26, hasn’t raced full-time in IndyCar this year but he’ll be one of the most experienced road racers in the field. What should we expect from Daly? He probably doesn’t even know. But before the IndyCar Series races at Gateway Motorsports Park on Saturday night, I’d bet most of its drivers will be watching their open-wheel colleague. James Davison is the other racer that drove in the 500 three months ago. He’ll be in the No. 18 for Joe Gibbs Racing. Davison ran Mid-Ohio and Road America for JGR last year and finished fourth at Mid-Ohio. Like Daly, he’s a chiseled veteran when it comes to road racing. Elliott’s return will be most significant, though. He’s a 44-time winner in NASCAR’s elite series and his son, Chase, has become one of NASCAR’s most popular drivers. 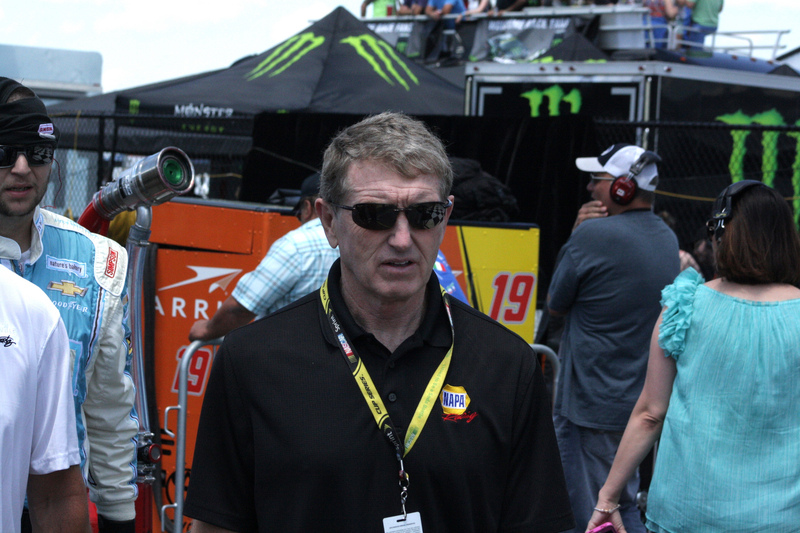 Does “Awesome Bill from Dawsonville” still have it? We’ll find out on Saturday afternoon. Three races remain in the season for America’s top open-wheel series. Saturday night’s race will be the final event on an oval. While the NASCAR Cup Series has the “Big Three” duking it out as the playoffs approach, IndyCar has the “Big Four” of Scott Dixon, Alexander Rossi, Josef Newgarden, and Will Power, who are all within 81 points of each other. Dixon leads the championship by 29 points over Rossi, but Rossi has won the last two races. 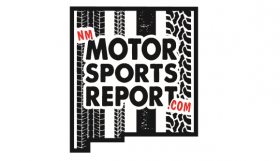 Saturday’s event at Gateway will set up a two-race sprint to the title, which will be decided at Sonoma Raceway in a double-points paying finale next month. Can Dixon gain on his lead as he looks for title No. 5? Will Rossi make it three wins in a row? Or will the most recent Indy 500 winner, Power, or defending series champion, Newgarden, make their bids as championship contenders? The trucks will begin their playoffs north of the border on Sunday. Johnny Sauter and Brett Moffitt have combined to win nine of 16 races this year, and they appear to be the title favorites heading into the postseason. Canadian Tire Motorsport Park has seen some dramatic finishes over the last few seasons. A year ago, Austin Cindric dumped Kaz Grala on the final lap and stole the win away to clinch a playoff berth. In 2016, John Hunter Nemechek and Cole Custer banged doors with a photo finish, and Custer ran onto the frontstretch to tackle winner Nemechek. In 2014, Ryan Blaney beat German Quiroga by a nose length at the finish. And who could forget Chase Elliott and Ty Dillon’s last-lap battle five years ago? Elliott dove to Dillon’s inside on the final corner and spun him to snag the victory. The pinnacle of motorsport will return to action after its summer break on Sunday too. F1 will race at Spa Francorchamps in Belgium with Lewis Hamilton holding a 24-point advantage over Sebastian Vettel in the title. Both drivers are four-time champs, and it appears one of them will earn No. 5 this year. But aside from the title chase, the Belgian Grand Prix will mark the beginning of Fernando Alonso’s farewell tour. Alonso announced last week that this would be his final season in F1, so he has nine races left in his career. But the two-time world champion isn’t retiring from racing. At age 37, he still has plenty to accomplish. Having won the 24 Hours of Le Mans earlier this summer, he’ll likely continue his quest to achieve the Triple Crown of Motorsport. All he needs is an Indy 500 victory, and he’ll join Graham Hill as the only driver in history to win Le Mans, Monaco, and Indy. Virtually every racing league in the world would welcome Alonso with open arms, but it seems his future will be in endurance racing and IndyCar racing. If you don’t regularly follow F1, now might be a good time to start, because one of the world’s best racecar drivers will be on the move in the next few months.